FORWARD Ep. 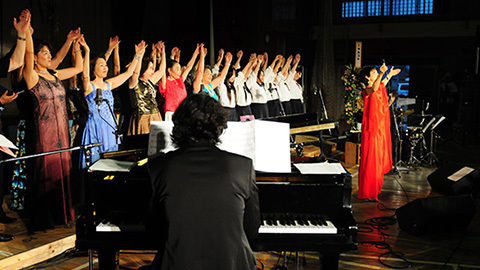 09 Song Bridges Us to the Future | jibtv.com | Japan International Broadcasting Inc.
A singer by the name of Kumiko was in Ishinomaki for a concert when the 2011 disaster occurred. As the tragedy unfolded before her eyes, she struggled to understand her purpose as a performer. The program documents her encounter with the restoration of a piano pulled from the rubble. It also shows her meeting with a Hiroshima nuclear bomb victim whose painful memories remain. These experiences led Kumiko to overcome her doubts and return to the stage, with a new song.